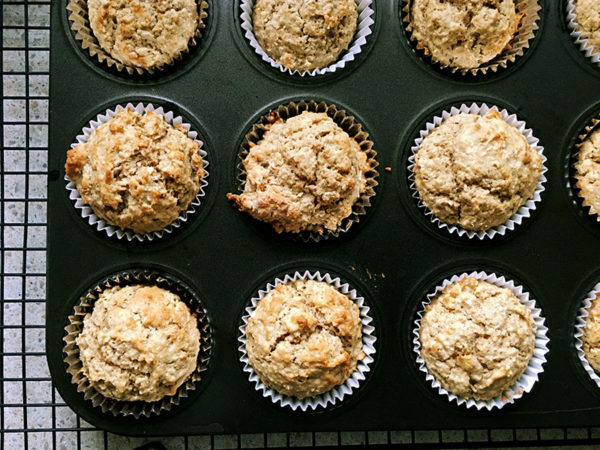 A recipe that will make over a dozen lunch box sized muffins and freezes perfectly? You’ve got it! 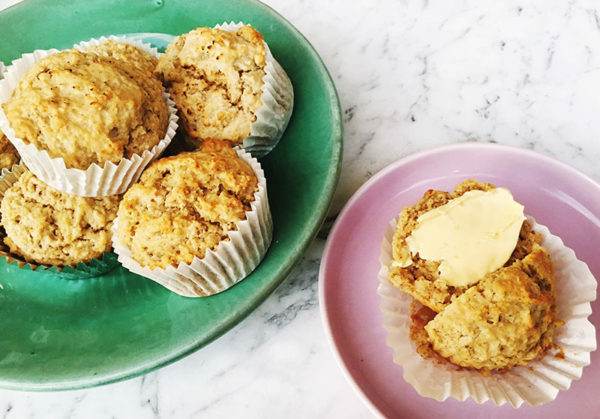 Not too sweet and loaded with dietary fibre, this muffin recipe uses rolled oats and silky buttermilk for a delicious crumb. A wonderful ‘base’ recipe, you could easily add diced fruit, berries, nuts or choc-chips if it’s a little too plain to pass the kid test. 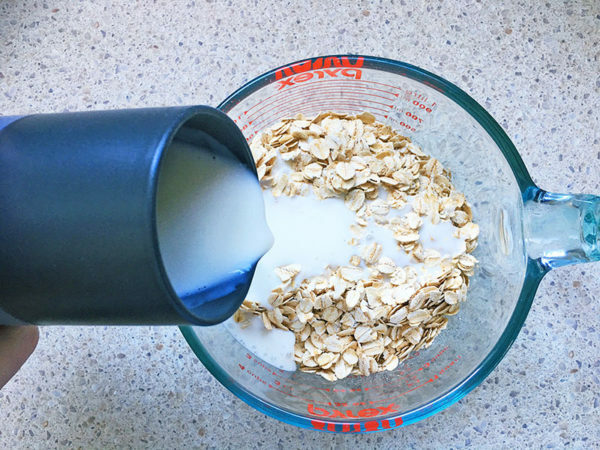 Combine the rolled oats and buttermilk in a bowl. Let soak at room temperature for 30 minutes. 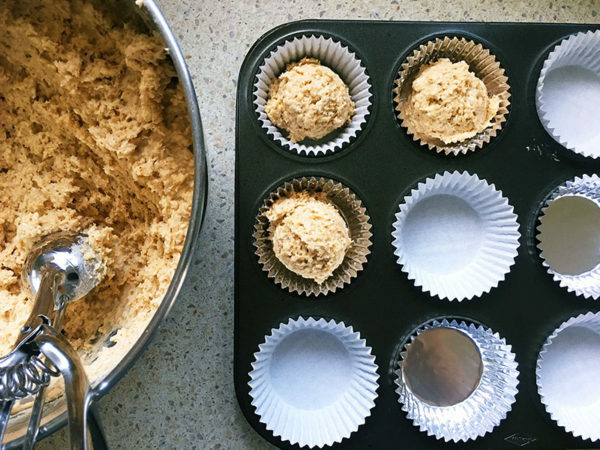 Preheat the oven to 175°C and fill a 12 cup muffin tray with paper liners. 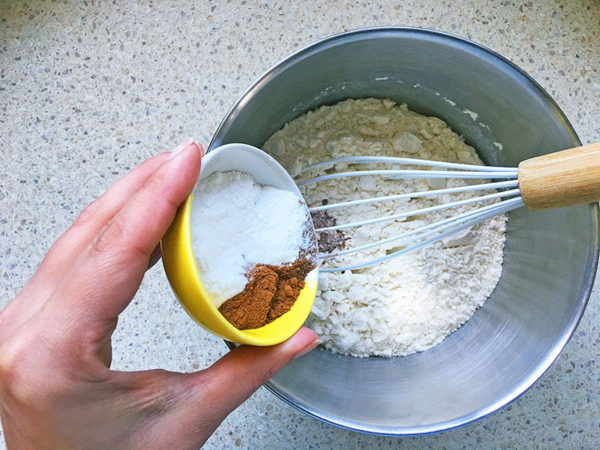 In a separate bowl, combine the flour, baking powder, baking soda, salt, cinnamon and nutmeg. 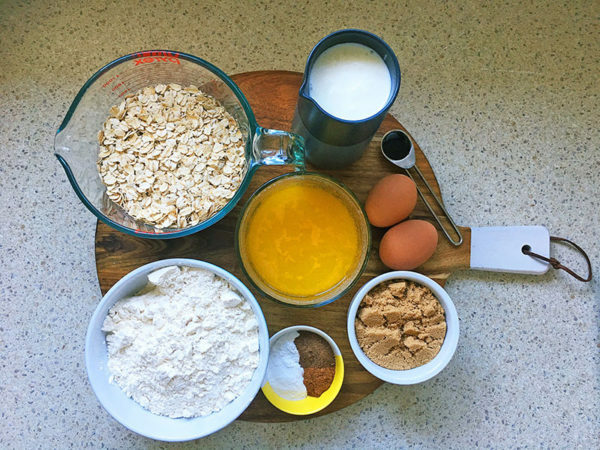 Once your oats are nice and gluggy soft, stir in the brown sugar and eggs. 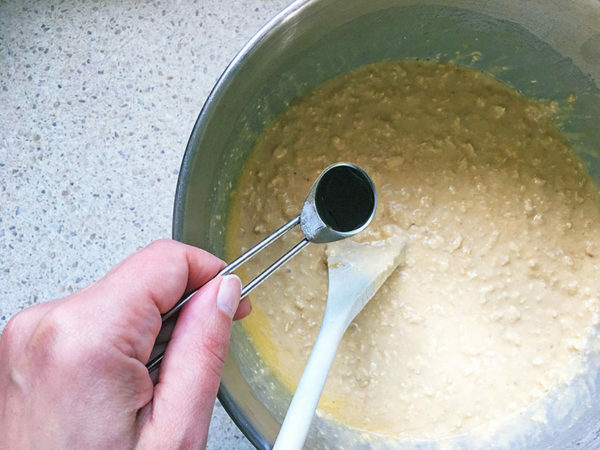 Add the melted butter and vanilla to oat mixture and stir until combined. 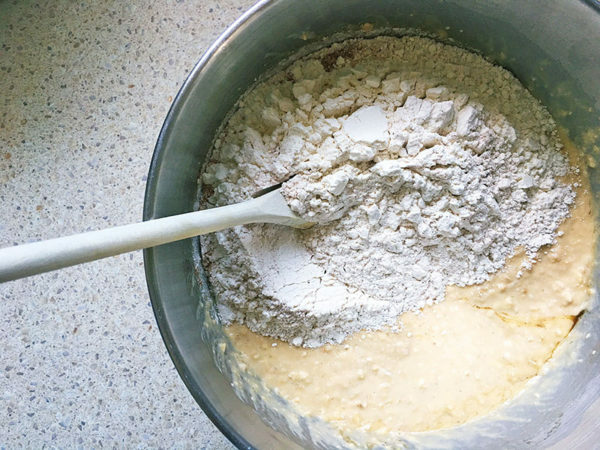 Add the flour to the oat mixture and stir in until just combined. Fill each muffin case two thirds full. Bake for 15 to 20 minutes or until a skewer comes out clean when inserted into the centre of muffin. 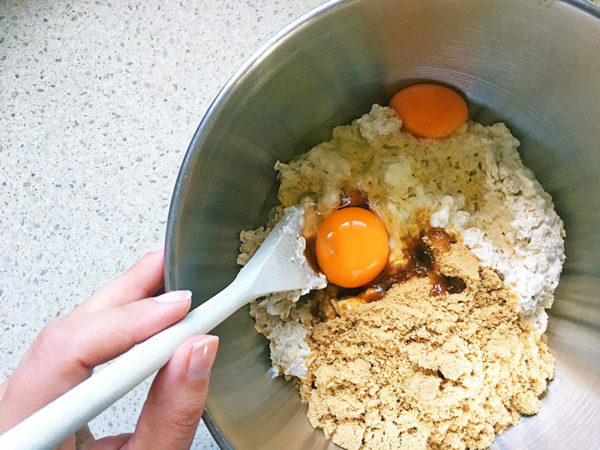 Repeat with remaining mixture. Muffins are perfect served warm or cold. 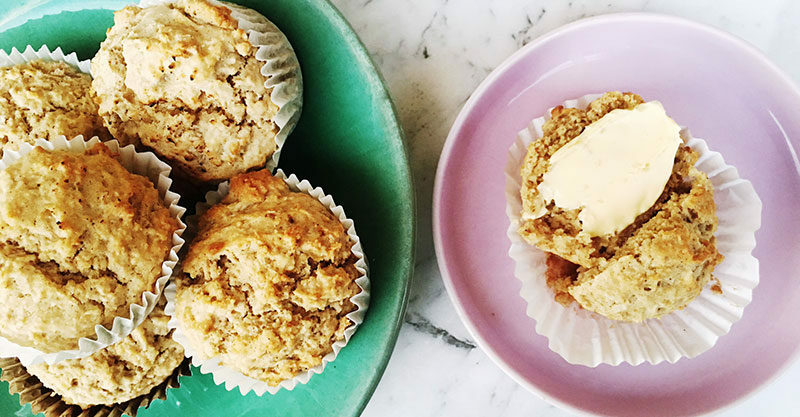 For the record, you’re going to want to try one warm with a generous helping of salty butter. Trust me.